Caprylic/Capric Triglyceride mainly work as an emollient, dispersing agent and solvent in our Personal Care formulations. As an emollient, it is absorbed quickly to condition the skin/hair, and is a lightweight and non-greasy lubricating barrier. It enhances the delivery of vitamins, pigments and other active ingredients in a solution helping evenly spread out and fully absorbed by the epidermis, as a dispersing agent. It’s oily texture helps thicken cosmetic formulations and provides a slipperiness, which in turn allows for the easy spreadability of solutions and a smooth after-touch. Cosmetic manufacturers highly value this ingredient for its lack of color and odor, as well as for its stability. It possesses such great stability and resistance to oxidation, in fact, that it has an almost indefinite shelf life. You may find this ingredient in personal care products such as facial moisturizer, lipstick, anti-aging serums, sunscreen, foundation, eye cream and lip/eye liner. Is it the same as fractionated coconut oil? Technically, yes. 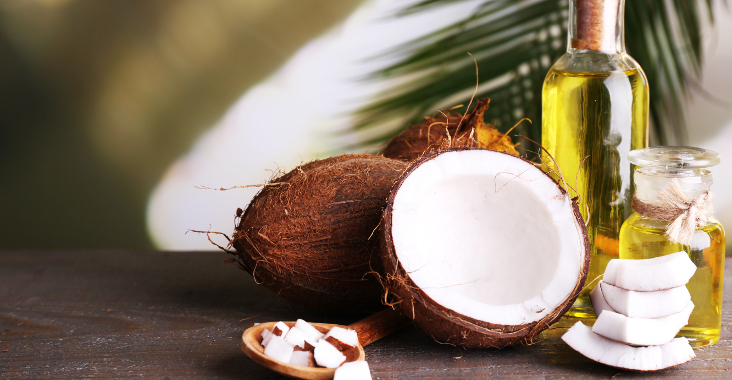 Fractionated coconut oil and the Caprylic triglycerides are the same oils. However, the method in which the oils are extracted are what separate the two. Both oils function the same, and are considered just as safe as any other oil.